Welcome back and happy new year, friends! We are so excited to get back to business after our long holiday break. We've got so many exciting things happening here and just can't wait to share with you! The first order of business is releasing new stamps. So, I guess we'll get to it with our January previews! Over the next few days, I'll be showing you my projects with our new stamps. All new stamps will be available for purchase on January 15th by 9AM. To celebrate the release, there will be a Stampede -- our version of a blog hop with our Design Team along with a couple of awesome guest designers joining us this month. A release celebration isn't complete without giveaways, right? Stay tuned for more info on that! 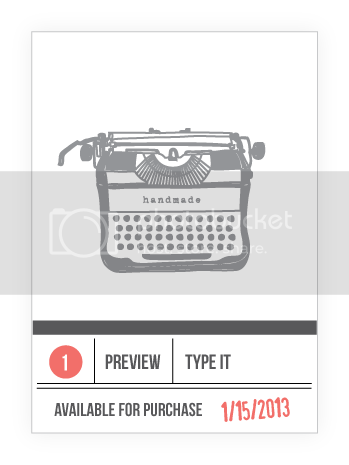 Type It is fashioned after my own love affair with vintage typewriters. Just last year I purchased a flawless Remington. I'm so in love with it! The images in Type It are fun and functional, complete with many styling options. 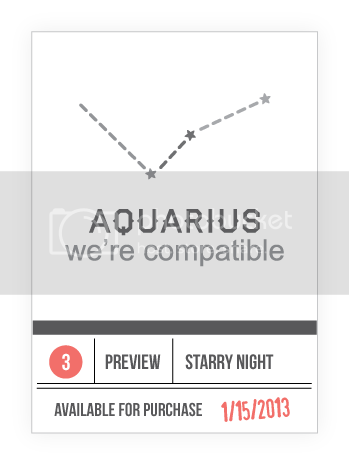 We are so excited to introduce a horoscope themed set! Angie really worked her magic with Cosmic Stars. The images are so cute without being too cutesy and YES! finally a stamp set dedicated to the heavenly stars! 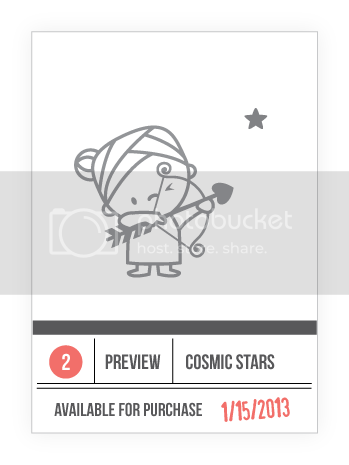 Starry Night is the companion set to Cosmic Stars. This set is filled with so many great sentiments and even some nifty elements to build your own constellations patterns. You will LOVE this! 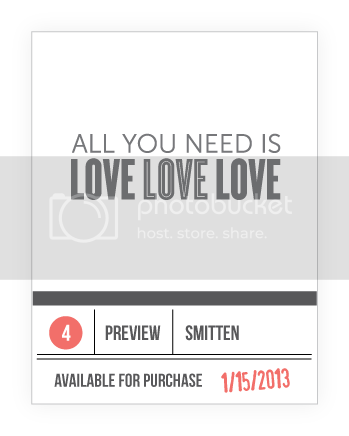 Valentine's Day is just around the corner and Smitten celebrates that and more! You will love the fun sayings and the bold graphic images. yay!!!!!! new mama elephant stamps!! i can't wait!! i don't know which peak i love more!! they're all perfect and so unique!! love the typewriter and cosmic stars!! eek! so excited!!! Can't Wait to see ALL They look AWESOME!!!!!! I am excited to see what is up your sleeve. Very excited to see the new stamps...the previews are delightful! how fun..thanks for the previews..